Should Retailers Ride the Cryptocurrency Roller Coaster? As featured in Total Retail on March 19, 2018. Cryptocurrency may be the future of money, but it’s a tough sell in the retail world right now, and for good reason. The most familiar cryptocurrency unit, bitcoin, has been on a roller-coaster ride for the past few months, rising to a peak value near $20,000 in December 2017 before crashing below $6,000 in early February 2018, and then rebounding back to around $11,000. That volatility makes bitcoin untenable as a payment in most retail situations. In 2014, rapper 50 Cent accepted a cryptocurrency payment for an album, receiving 700 bitcoins, which amounted to approximately $400,000 in dollar value at the time. He held on to the payment, and in January 2018, Newsweek reported that the value of his bitcoins had risen to nearly $8 million. As of this writing, the 700 bitcoins are worth around $4.8 million. 50 Cent’s experience as an accidental bitcoin millionaire illustrates the challenges of accepting cryptocurrency as payment for goods: the value isn’t pegged to anything solid, and when it rises and falls, the value of the goods purchased don’t rise and fall in correlation. Imagine accepting one bitcoin for a car on Feb. 1 (CoinDesk value: $10,117.46) and converting it to dollars Feb. 6 ($6,914.26). With that sort of fluctuation — which extends beyond bitcoin to other leading cryptocurrencies — there’s a good possibility that one party in the transaction won’t have positive feelings about the deal. However, a secondary use for cryptocurrency has gained some traction: cryptocurrencies can be a handy vehicle for making high-dollar purchases across international borders. The processing fees are negligible in the context of a multimillion transaction, and since the exchange can be made nearly instantaneously, the dangers of fluctuation aren’t as pronounced. Under these limited circumstances, the use of cryptocurrency to make a million-dollar jewelry purchase across an international border makes sense, even in times of high volatility. However, this scenario won’t apply for most retailers. There’s an emerging retail application for blockchain today: loyalty programs. Burger King Russia made a media splash last fall with the debut of WhopperCoin, a virtual currency customers earn by purchasing hamburgers. Transactions are made on a blockchain platform, which enables customers to sell or trade WhopperCoins, or redeem them for more Whoppers at a Russia-based Burger King. Multi-retailer loyalty programs are a clear fit for a blockchain-enabled ledger, and retailers can create a seamless mechanism to earn, redeem and exchange loyalty points across participating merchants. A crypto-loyalty-reward can work globally across merchants in multiple verticals and markets without risks of cross-border restrictions or loyalty rewards fraud. It’s also great for the merchant balance sheet, as it allows the reduction of financial liabilities associated with holding unredeemed rewards on the retailer’s books. Retailer-branded crypto-loyalty-reward that’s mapped to a defined redemption value offers a wide range of customer engagement value that expands beyond traditional linear loyalty program structures. The idea of trading in crypto-loyalty-rewards is exciting for many customers, and being able to create an incentive scheme that’s digitally tied to all forms of brand and retailer engagements can give the customer a stake in the retailer’s success. One hurdle retailers must overcome to deploy a crypto-loyalty-reward program is to find a way to accept and redeem them at the point of transaction. Generic point-of-sale software typically doesn’t support a cryptocurrency option. However, a secure user mobile device tied to a crypto-loyalty-reward blockchain that instantaneously translates the transaction into a fiat currency tender at the point of sale could help overcome this hurdle. So, should retailers board the cryptocurrency roller coaster? Right now, it’s more of a (highly volatile) investment asset than a true currency. Under limited circumstances — e.g., a pure-play cryptocurrency such as bitcoin — it may make sense in a retail environment. But for most retailers that want to delve into cryptocurrency or blockchain today, a crypto-loyalty-reward program is the safest ride with easily quantifiable benefits. 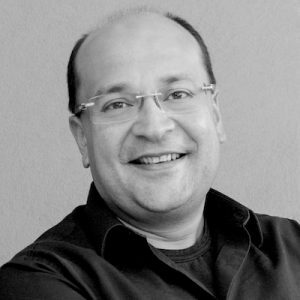 Amitaabh Malhotra is the chief marketing officer of Omnyway, an integrated platform for payments, loyalty rewards and offers that encourage consumers to use their mobile phone for all aspects of the buying journey.